Agribusiness management prepares you to be a leader and decision maker in the global agrifood system, whether in industry or the policy arena. Learn the economic principles driving the agriculture value chain and receive training in finance, commodity marketing, management, policy analysis and entrepreneurship. 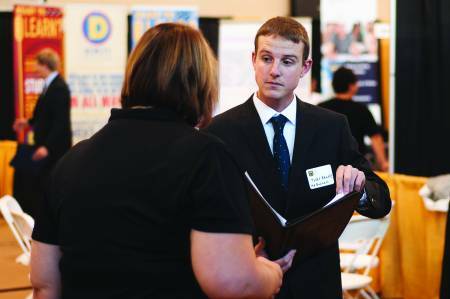 Develop quantitative, analytic, interpersonal and critical thinking skills employers demand. Make a difference in improving agricultural production, processing, distribution and natural resource use. 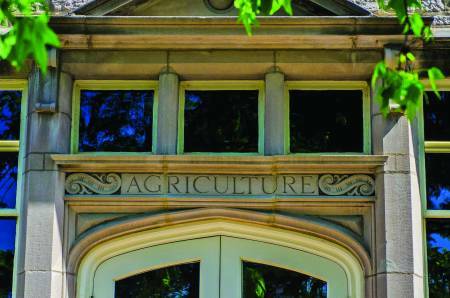 Acquire a solid foundation of business and economic skills and agricultural knowledge while earning your agribusiness management degree from Mizzou’s College of Agriculture, Food and Natural Resources. See more common career paths. Whether making decisions about the daily operation of a small business or addressing the complex marketing issues of a multi-national company or large agribusiness cooperative, the financial services you can provide are in high demand at each stage of the supply chain – from farm inputs to the supermarket. All value starts with the consumer. Our students have a key competitive advantage in understanding how value is created and captured at each stage of the value chain. As an agribusiness management graduate, you could be employed in a wide variety of careers involving the buying, selling, distribution and promotion of agricultural food, fiber and biofuels products. Take leadership roles in developing new companies and leading existing corporations and cooperatives. These range from small rural businesses to international companies like Monsanto or Land O’Lakes. Government regulation and policy play a significant role in shaping the agrifood system. Understanding the intersection of policy and business prepares you to work for government agencies, commodity organizations, agribusinesses, media, environmental and other interest groups to interpret and communicate the effects of policy. Agricultural systems management: MFA Oil Company, Pipestone Systems, Union Pacific, Sydenstrickers, Ag Power, Inc.
and the fuel in our vehicles. Check out additional minor opportunities.